Another great home made video we found by Paul Greenacre of his recent 14lb rainbow catch for his Christmas dinner. 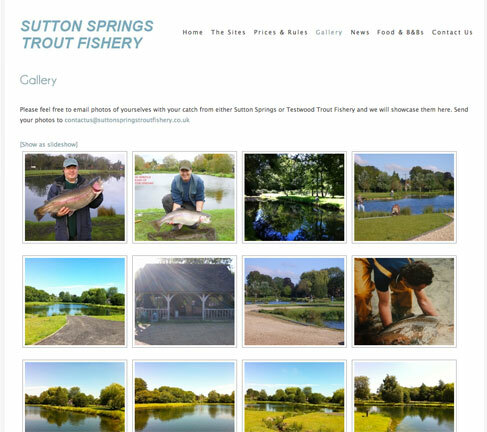 contactus@suttonspringstroutfishery.co.uk and include your name with a bit of information about the photo or video. We stumbled across this video by top Irish fly angler Alan Hanna who compares catching monster rainbow trout at Sutton Spring’s Testwood lake in England to the tiny wild brown trout in Ireland. It’s an old video taken in 2006 but it’s definately still relevant! Skip to 05:05 minutes in to see his first monster catch, “that’s probably the biggest trout I will ever see in my life” says Alan in the video.